Get informed. Stay informed. 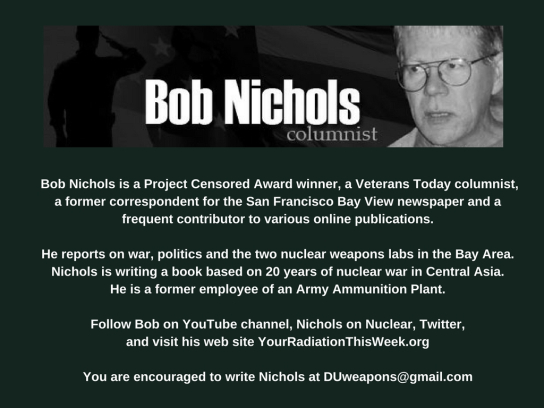 Read the current article at the Bob Nichols VT column here; Subscribe here for email updates and more. 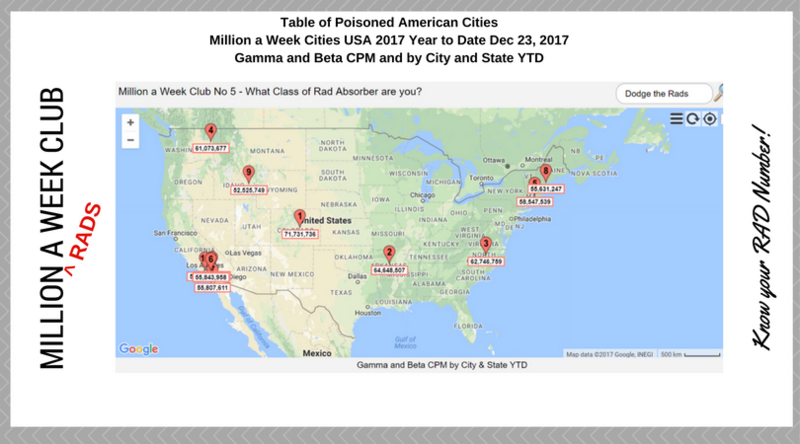 Most Poisoned Cities List for Total Gamma Radiation [Recorded] in the US. 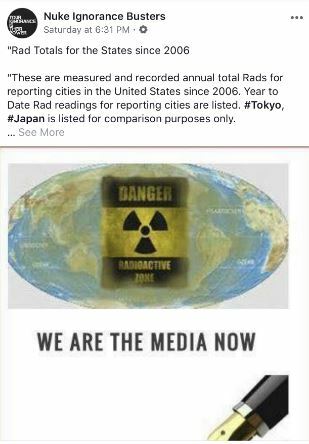 READ THE ENTIRE ARTICLE AND SEE THE TABLE OF POISONED AMERICAN CITIES AT THE AUTHOR’S SITE ON VETERANS TODAY, on the blog, Your Radiation This Week and subscribe for email updates here. 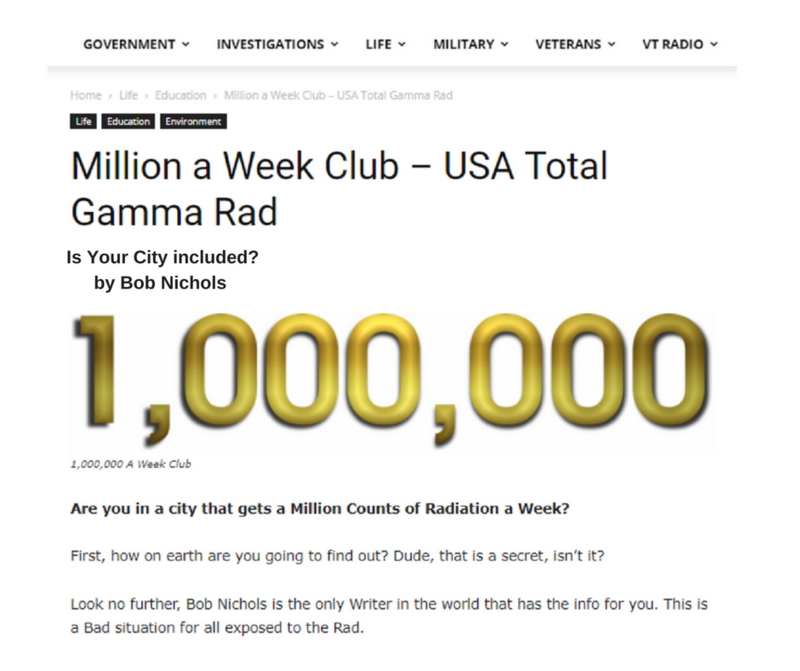 …TOTAL GAMMA RAD …. 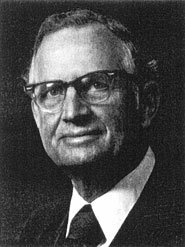 Million a Week Club…. This is a public service message brought to you and yours by Lucy Occupy and Friends, per copyright permissions. 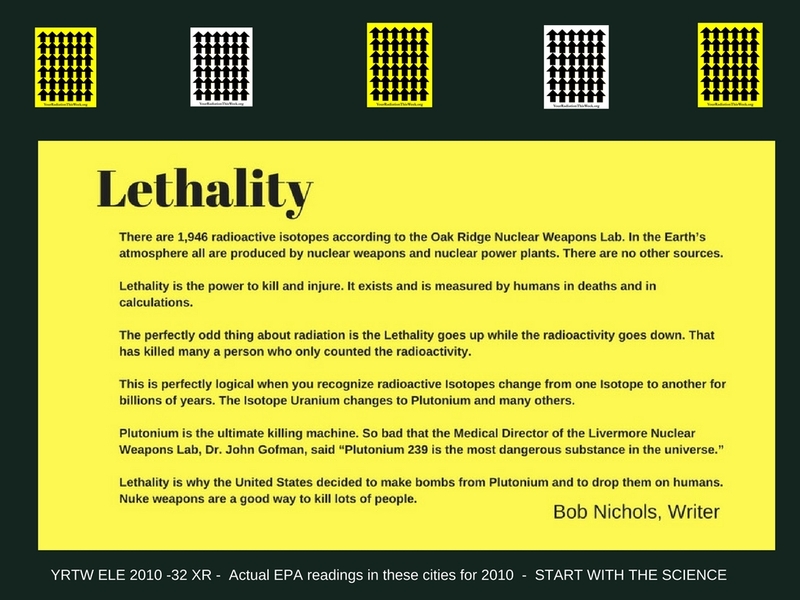 See more Nichols on Nuclear and More Nichols on Fukushima Since 2011 here. 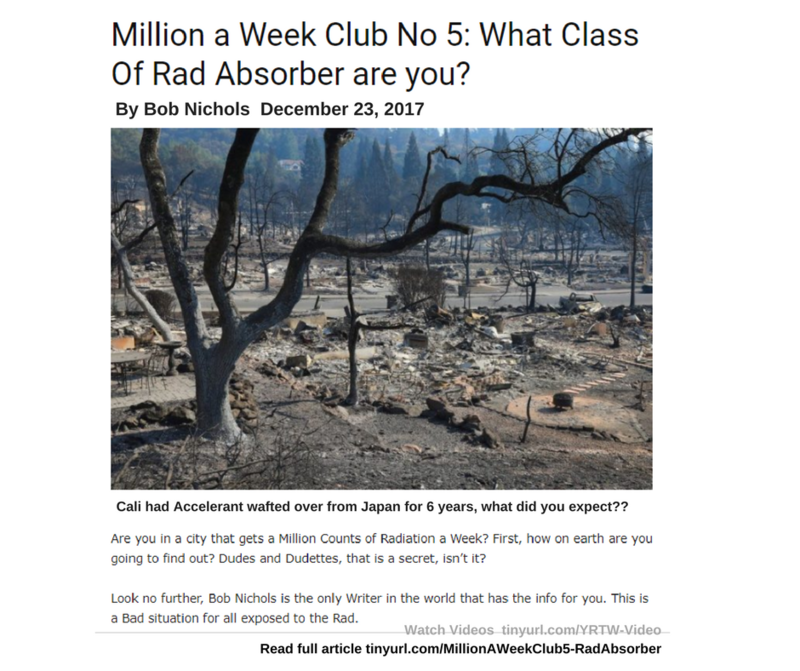 Get informed, Stay Informed – Subscribe for Million A Week Club email updates today. Colorado Springs, Colorado is number one in the US right now having endured 46,136,977 Gamma CPM, or Counts per Minute, since January 1, 2017. Everybody and everything in the States absorbs a certain amount of the rad every minute. 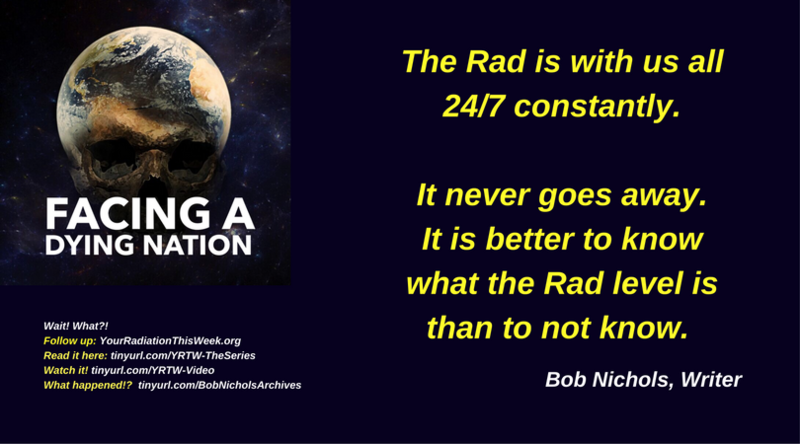 The total Rad number People are exposed to and how much Rad folks absorb is an individual thing that can vary. Year to Date Radiation Measurement by City is a First for Bob Nichols and VT. Software and hardware computer upgrades make it easily accessible for interested residents. 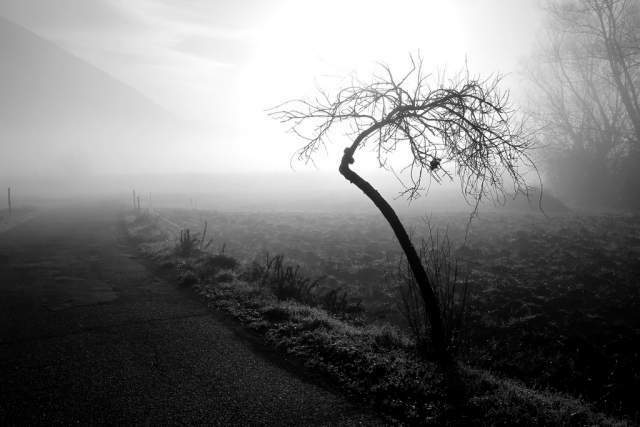 Everybody absorbs the Rads, the number a person gets varies. 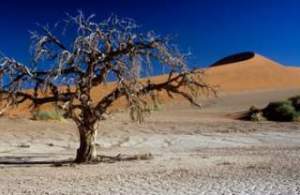 The more people get, the quicker they sicken and die. 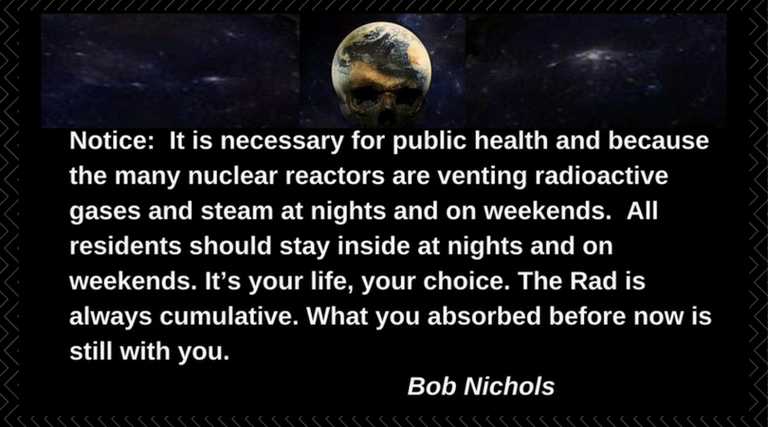 It is just that simple … and the Rad is a forever thing that will kill you and everybody you know. New Rad Measurement. Year to Date, 24 Hours a Day Rad measurements are added to the report for all reporting cities every two weeks. Rad Counts, called CPMs, are in the millions everywhere in the States.